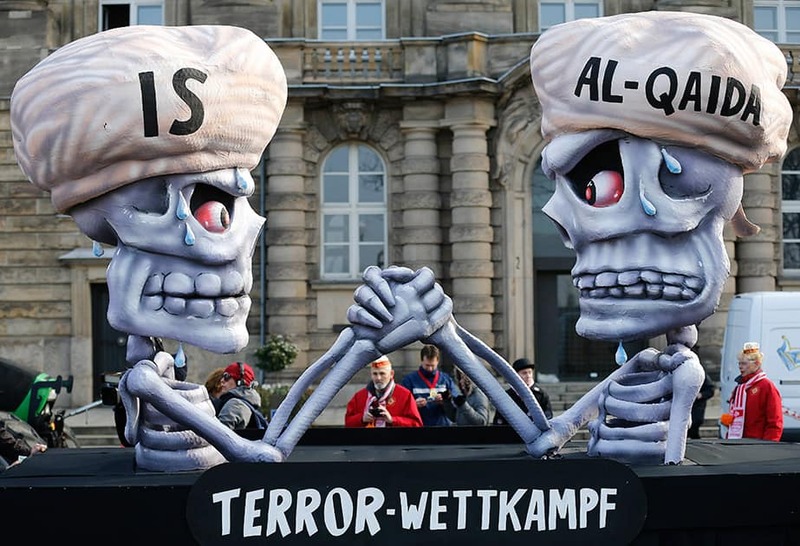 A carnival float depicts a writing 'terror competition' underneath skeletons with turbans and the writings IS and Al-Qaida during the traditional Rose Monday carnival parade in Duesseldorf, Germany. 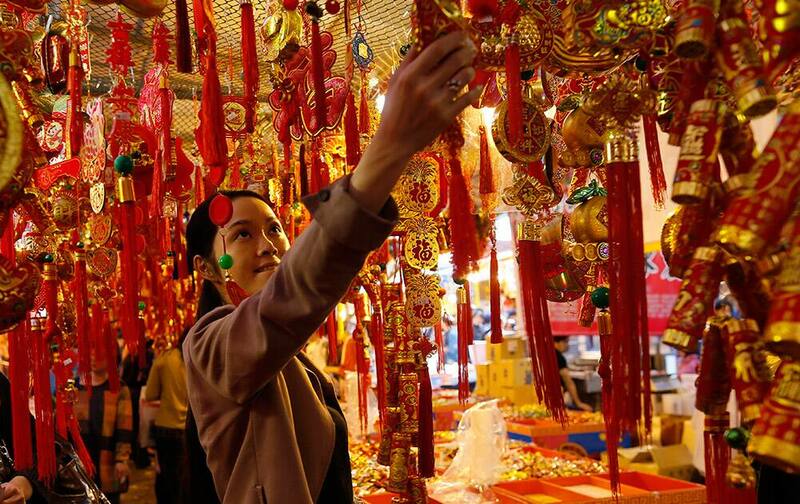 A woman shops for good luck ornaments at the traditional Dihua market for the upcoming Chinese New Year celebrations in Taipei, Taiwan. 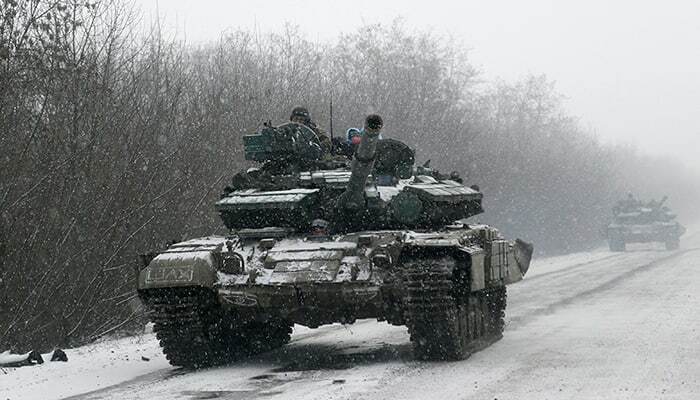 An Ukrainian armored vehicles drive on the road between the towns of Debaltseve and Artemivsk, Ukraine. 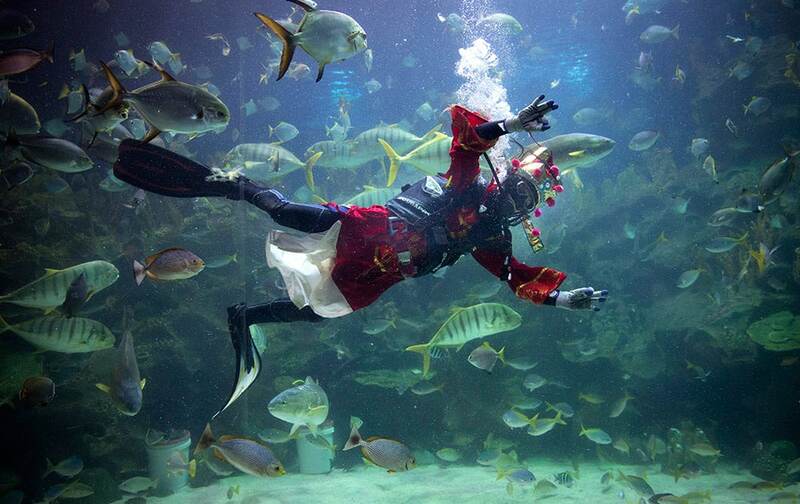 A diver dressed in Fortune God costume waves to visitors after he feeds fish as part of upcoming Chinese Lunar New Year celebrations at Aquaria KLCC underwater park in Kuala Lumpur, Malaysia. 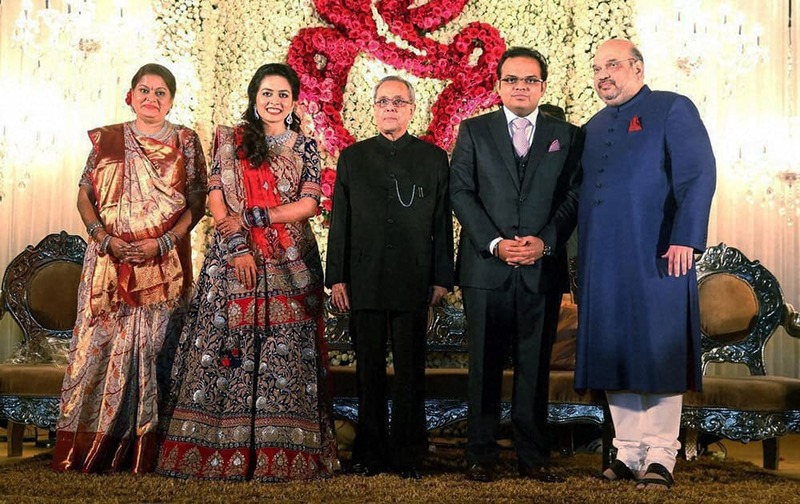 President Pranab Mukherjee with BJP National President Amit shah and his son Jay and daughter in law Rishita during their wedding reception. 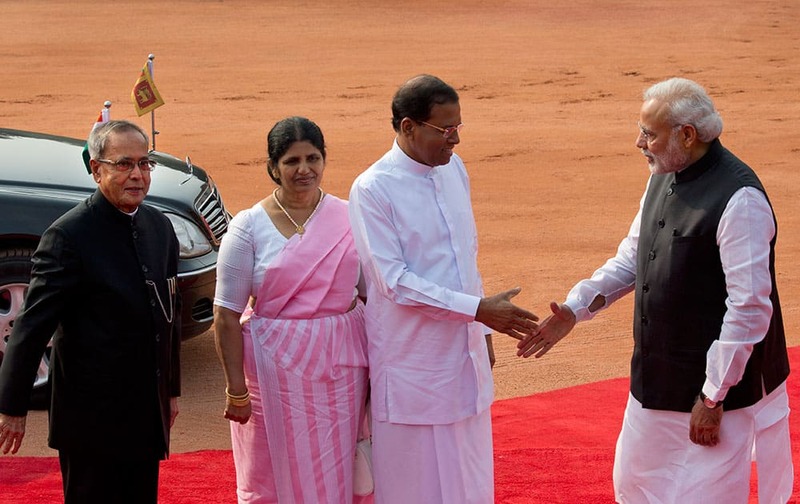 Prime Minister Narendra Modi, shakes hands with Sri Lanka's President Maithripala Sirisena, as his wife Jayanthi Sirisena, and President Pranab Mukherjee watch during a ceremonial reception at the Indian presidential palace in New Delhi. 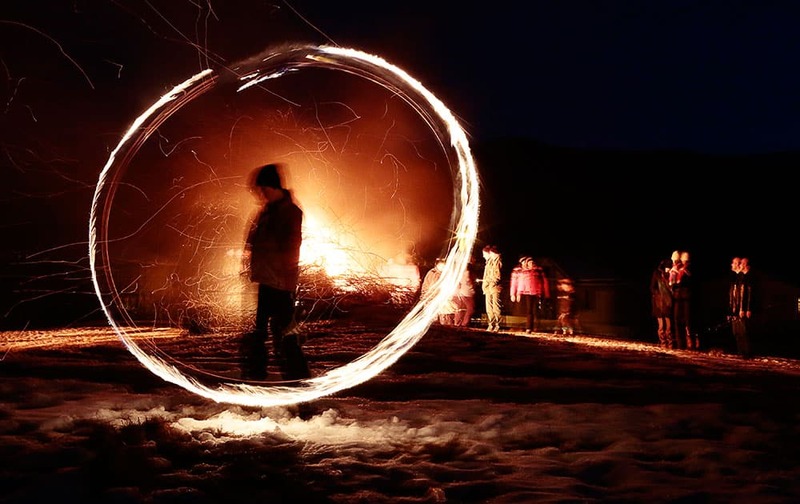 This photo taken with a long exposure photo, a silhouetted child spins a ball of fire during rituals in celebration of Mesni Zagovezni (Shrovetide) in the village of Lozen near the capital Sofia. 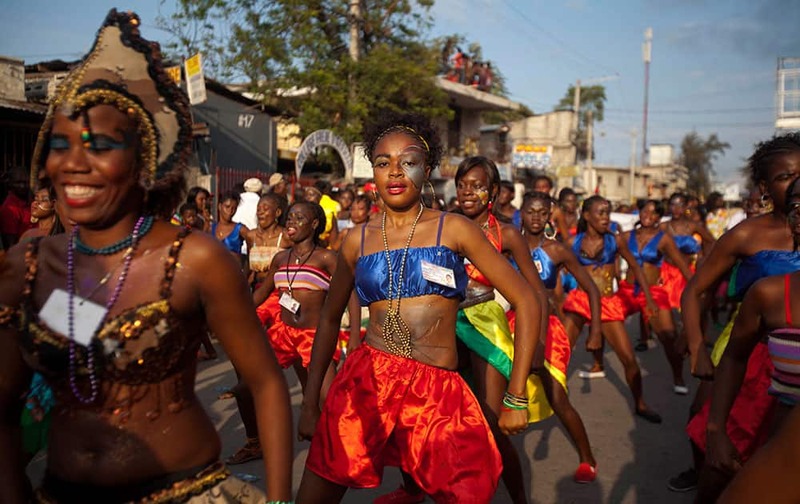 Dancers perform in a street parade, kicking off Carnival celebrations in Port-au-Prince, Haiti. A mud covered reveler wearing a cow's skull as a mask poses for a photo during the traditional 'Bloco da Lama' or 'Mud Block' carnival party, in Paraty, Brazil. 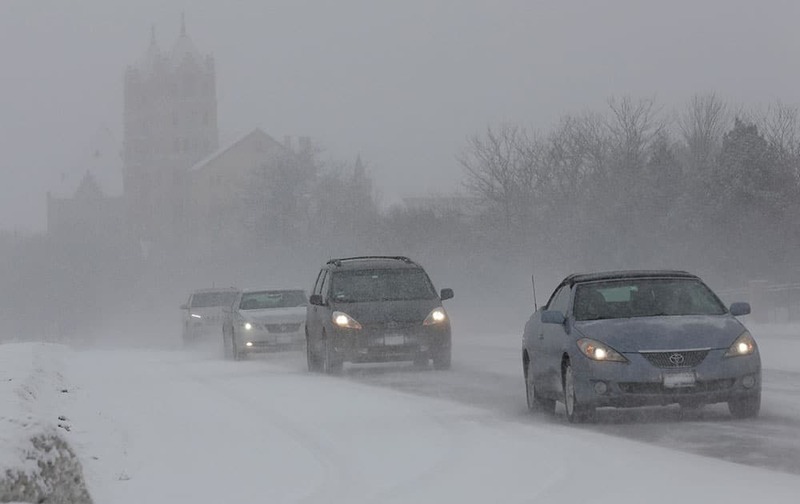 Traffic slowly moves down Waukegan Road, in Northbrook, Ill. Drum queen Raissa Machado representing the Viradouro samba school, dances during the Carnival parade at the Sambadrome in Rio de Janeiro. Timea Babos of Hungry returns the ball to Jelena Jankovic of Serbia during the first day of Dubai Duty Free Tennis Championships in Dubai, United Arab Emirates. Participants of the Undie Run Washington run in their least amount of clothes in the Capitol Hill area of Washington. 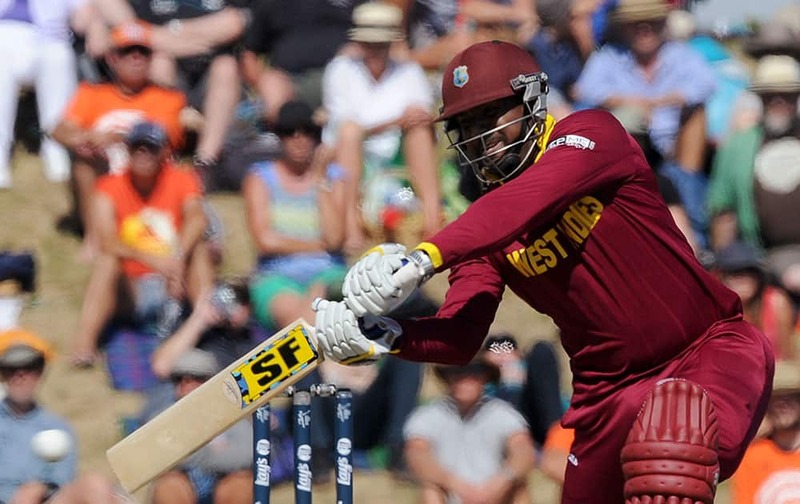 West Indies' Dwayne Smith drives the ball against Ireland during their Cricket World Cup pool B match at Nelson, New Zealand. 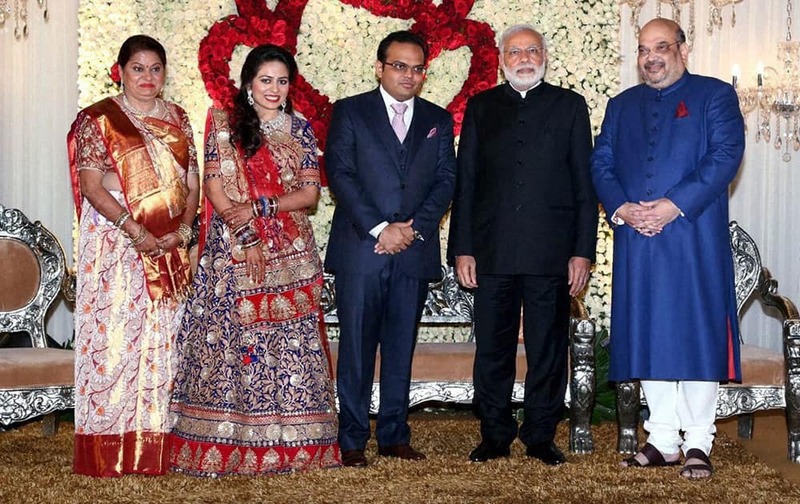 Prime Minister Narendra Modi with BJP National President Amit shah and his son Jay and daughter in law Rishita during their wedding reception in New Delhi. 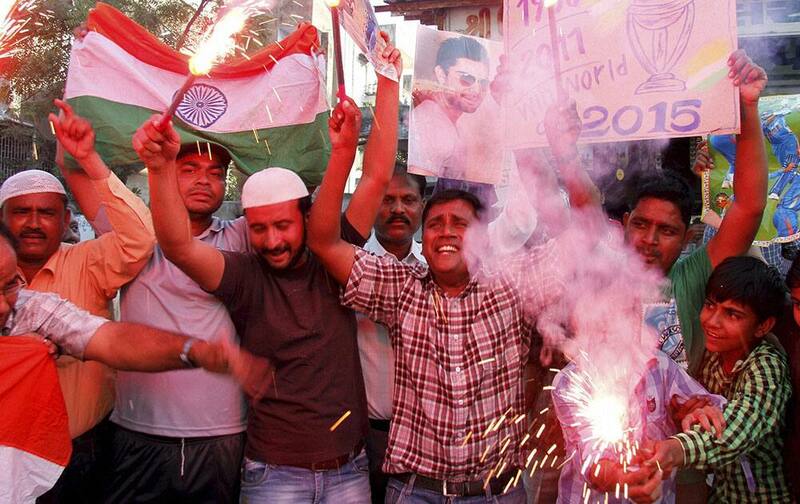 Cricket fans celebrating after team Indias victory in the ICC World Cup Pool B match against Pakistan, in Ahmedabad. 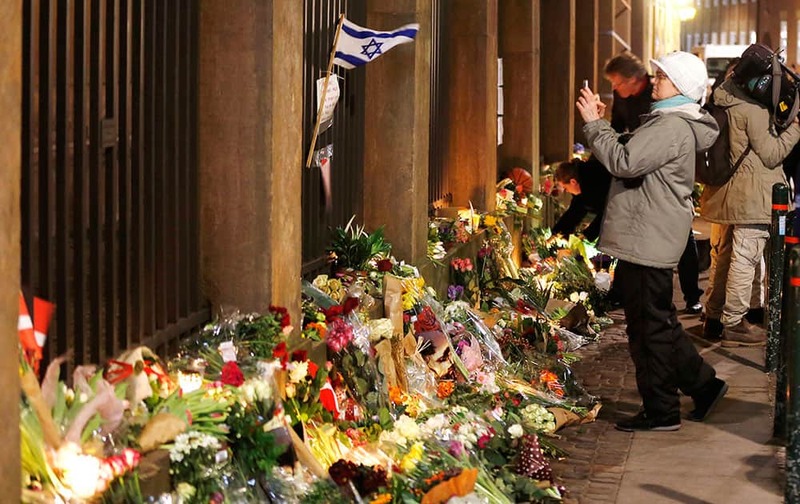 Flowers are placed in front of the synagogue where one person was killed in Copenhagen, Denmark.